Online Application Details for Telecom Regulatory Authority of India TRAI Recruitment of Principal Advisor and Advisor is given below. 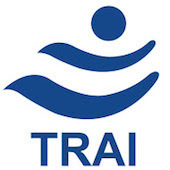 Candidate's minimum education qualification for the Vacancies in Telecom Regulatory Authority of India TRAI should be CA / ICWA, Master / Graduate Degree in Business Administration / Economics / Commerce / Engineering / Law / Science / Humanities. Officers from central government / state government / Autonomous bodies. Application form and duly attested documents are to be sent to Senior Research Officer (A&P), Telecom Regulatory Authority of India, Mahanagar Door Sanchar Bhawan, J.L. Nehru Marg (Old Minto Road), Next to Zakir Hussain College, New Delhi-110002. In envelope super scribed with 'Application for the Post of Post Name'.